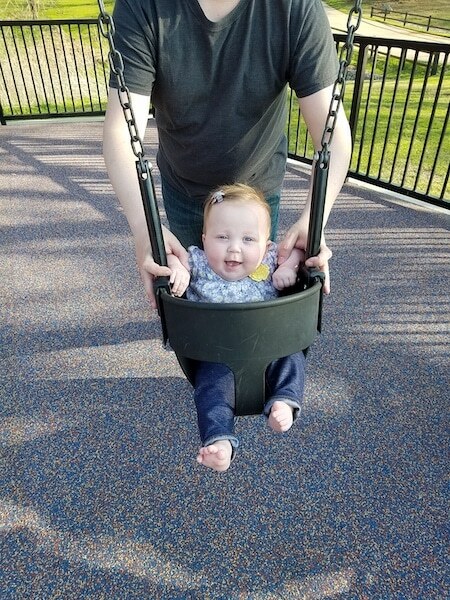 After our twins celebrated their first birthday, my husband decided to begin taking them on one on one dates. They were finally old enough to sit in a high chair while taking in the sights and sounds around them. Our daughter also seemed to need more one on one time with us than our son, which isn’t easy with two toddlers. It began with my husband taking one twin to breakfast on Saturday while I spent time with the other twin at home. The tradition has continued into their second year. We plan to continue spending individual time with our twins into their teens and beyond. 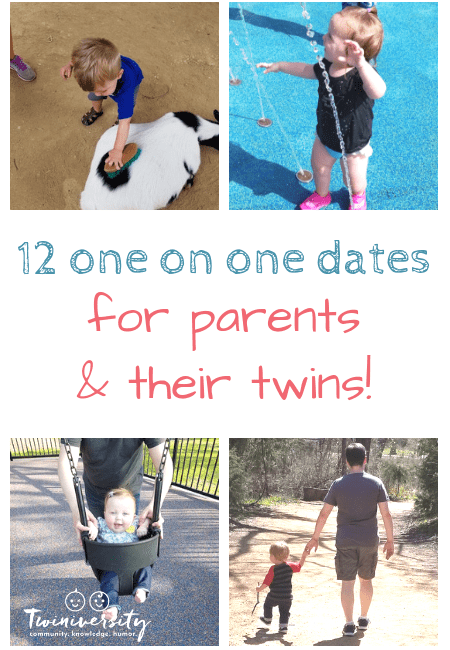 Here are twelve ideas for one on one dates to try with your twins. Challenge yourself to try one idea per month for the next year. 1. Take them to breakfast. Breakfast is one of the cheapest and easiest meals for a one on one date. It can be as simple as visiting your local donut shop or preparing an easy breakfast together at home. It’s also the first meal of the day. If you wait, chances are you may forget or get busy running errands. Before you know it there’s no time left for one on one time. I’ve noticed how differently the day goes when our twins get individual attention at the beginning of the day. It sets the tone for the rest of the day and everyone’s spirits are lifted. 2. Feed giraffes at the zoo. You may have taken your twins on many trips to the zoo, but have you taken them one on one? 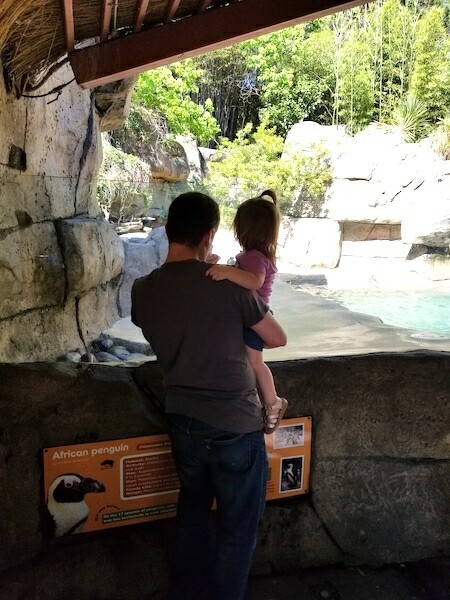 A trip to the zoo with one twin is a completely different experience. It means less breakdowns and more fun. It means less chasing two children around or hauling a double stroller through a crowd. Most zoos have special events and experiences throughout the year. Our local zoo allows guests to feed the giraffes for a small fee. Some zoos allow children to become zookeepers for a day with a behind the scenes tour of zoo habitats. Your future zoologist will never forget such a unique experience. 3. Get your hair done together or take hair styling lessons. This one is especially great for dads and their daughters. Check with local salons to find out which one offers daddy and daughter hair styling classes. These classes exist to help dads learn how to style their daughter’s hair. Moms are not the only ones who can get in on the fun of bonding over hair styling. Moms can take their son or daughter for a haircut while she gets her hair done. Go out for ice cream afterwards to end the date on a sweet note. 4. Take an art class together. If one of your twins has an eye for art or talent for crafting, take an art or craft class together. Classes usually cost from $10-$40 per person, which includes a painting or craft to take home. You don’t need to be great at art to take a class. Focus on enjoying the class and having fun together. Our local art museum offers art classes for infants to teens. Young art enthusiasts also get a chance to browse the gallery. Our twins participated in an art class for toddlers this summer. They loved making art using shaving cream and playing in the special kids area of the museum. 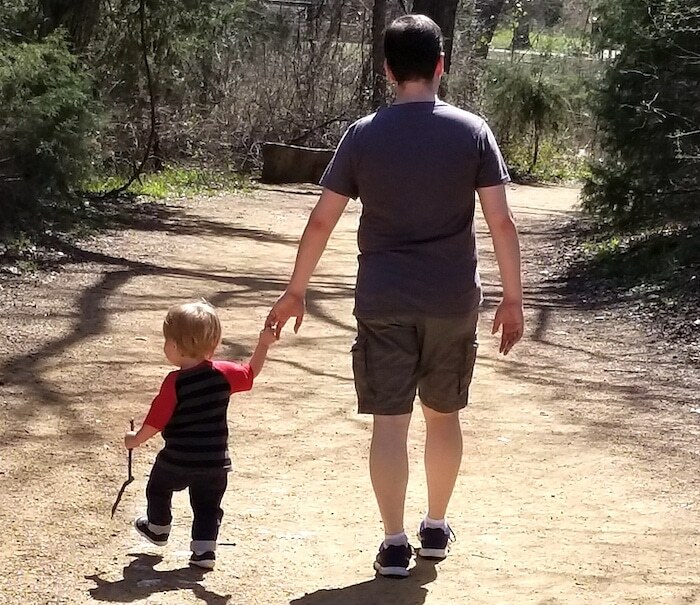 My parents helped take them to the museum so that I had a chance for one on one time with my son while they spent time with his sister. We had a blast making art together and it was a relief not to worry about two toddlers making a mess. 5. Take a cooking or baking class. My twins love to help me bake. I can’t wait until they’re old enough to take a cooking class with me. Not only does cooking help children learn all kinds of skills for the future, it makes for a fun bonding experience. Look to your local market or cooking supply store to see if they offer a parent and child cooking class. Or talk to a friend in the baking business or ask a local bakery if you can take a short tour. You never know until you ask. 6. Swim or splash. 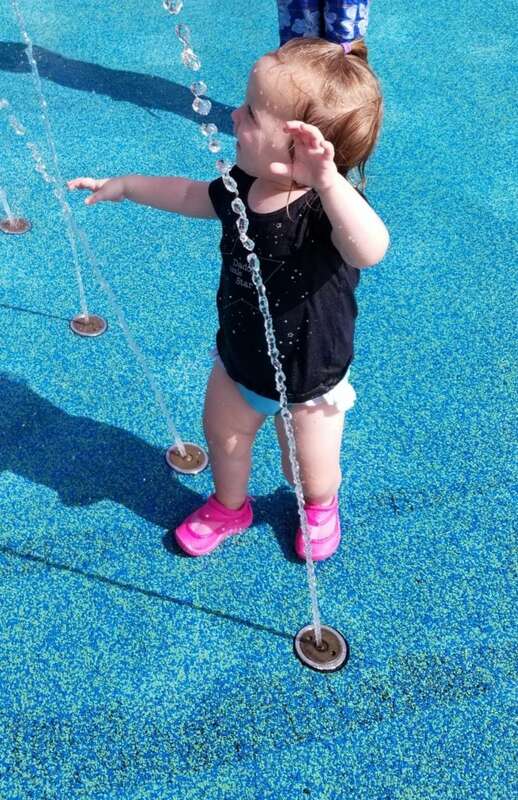 Our family spends at least a few days a week at the splash pad every summer. It’s a lot of fun, but also a lot of work to ensure the safety of two toddlers. I love an opportunity to take just one of them swimming or splashing. It means I get to worry a little less about someone getting hurt and instead get to focus on making memories. If getting away to a pool or splash pad is out of the question, try simply playing in a sprinkler or giving one twin a special midday bath they don’t have to share with their twin. 7. Go on a dessert picnic. Grab a few cupcakes from your local bakery and head to the nearest park. I love that my twins are in such an awesome stage. They love new and different experiences, even if what we do seems mundane in the eyes of an adult. In their eyes, any new or different experience is an adventure and any individual time with mom or dad is a delight. I’m taking advantage of this stage with lots of mundane, easy activities. When they’re older they’ll remember the time their dad and I spent with them, the conversations, and the memories. They’ll care less about the details and may not even remember them. 8. Attend a touch-a-truck event. Most local fire and police stations offer “touch-a-truck” events, allowing children to step onto a real fire truck or peek inside a police car. They also get to learn about what the jobs of firefighters and police officers entail. You can spend time looking into the lives of community helpers together at a slower pace with only one child. 9. Attend a play. My parents took my brother and me to see the musical “Meet Me in St. Louis” when I was about five years old. I’ll never forget seeing live theater for the first time. It was magical. There are so many fun plays geared toward little ones that are perfect for a one on one date. If your child takes dance classes you can attend a ballet performance. 10. Try a new food. My twins are going through a stage of picky eating. It’s not bad yet, but gone are the days of wanting to try everything with a happy smile. I’ve heard rumors this stage ends. When it does I hope to try new foods with my more adventurous twin. 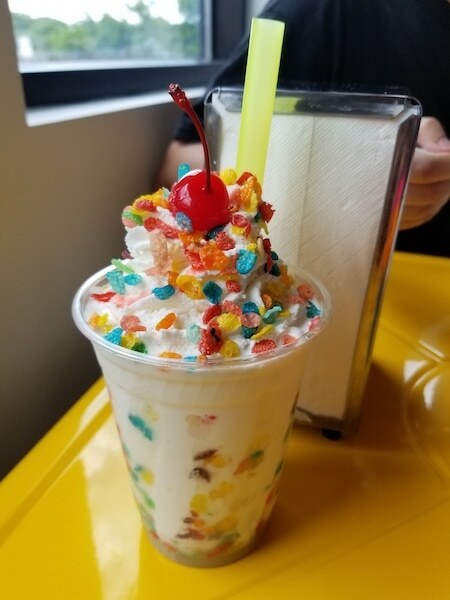 We’ll start simple with a new flavor of ice cream. Almost everyone loves ice cream. There are also ice creams to fit almost any dietary needs. 11. Play “make-believe”. I am guilty of overusing the phrase “in just a minute” when one of my twins wants to play. Just a minute becomes ten, twenty, and so on. Sometimes I forget. They remind me again and again. When I finally give in and just let myself get lost in their play it makes my day. It makes their day. I get to hear their delightful giggles. I get to hear, “Peekaboo, Mommy!”. These are the best sounds on the planet. All I have to do is put on a cape or talk like a pirate with them and they are content. Try it and see what happens. Spare a few moments and be a kid again. 12. Watch a construction site. We live in a growing suburban area with construction at every corner. Although it’s annoying, it does provide a perfect opportunity to see dump trucks and bulldozers up close. As long as you can find a safe spot at a distance to watch, go for it! Pack a picnic and enjoy the up-close view of the vehicles your child plays with at home. One year, a teaching colleague of mine handed me two neatly folded letters adorned with stickers. Two of my former students wrote letters to me describing what they remembered most about being in my Kindergarten class. They didn’t talk about learning to read or how much they loved math. They both mentioned a special reward I used to give them I had forgotten about. Students working quietly were called one by one to sit at my desk and color in a giant coloring book with me. They would sit and color while we talked about their day or anything they wanted to share. This simple thing was a much bigger hit than I ever realized. It was precious and memorable to them. Time is the best gift we can give our children. If you feel like you have no time to give, start small. Any one on one time is meaningful. It counts. Melissa Titus taught Kindergarten and 2nd grade in the public school system for ten years. She is taking a break from the education field to begin her new adventure as a SAHM to her boy/girl twins born in July 2016. When she’s not spending time with her husband or taking care of her twins, she loves to write, bake using her great grandmother’s recipes, support others still in the midst of infertility, and explore the great outdoors while attempting to photograph it. You can follow her on Instagram, Twitter, and Pinterest.